A new festival is coming to town! 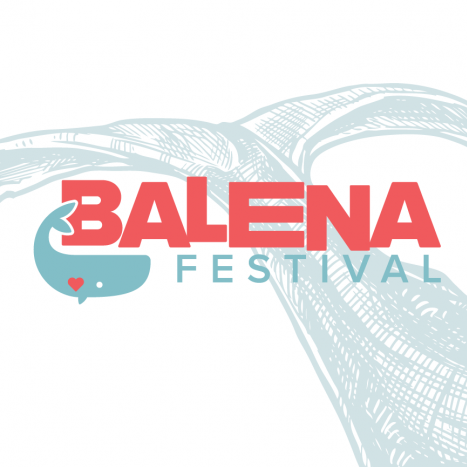 The Balena (Wale) Festival is the result of a cooperation between different local music realities (Aluha, Cane, Pioggia Rossa Dischi, Greenfog), with the participation of Luca Pietronave as artistic director (one of the promoters od the Mojotic Festival in Sestri Levante). The main aim is to bring the world of independent music to the city, from the 24th to the 27th of April, making these four days full of fun and of innovative musical elements. Franco126, roman, young and known for his original style that goes from rap to songwriting. Sxrrxwland (also known as “Sorrowland” or “Six Row Land”), an eclectic band whose members are Osore (producer), Gino Tremila (creative director, second voice) and Giovanni Vipra (voice, author), known for his ability of transforming music into images. Jesse The Faccio, paduan, who mixes North American lo-fi sound with Italian songwriting. La Rappresentante di Lista, well known band in the Italian music scenario, especially for their poetic-oniric lyrics and for the celestial voice of the singer, winner of "The best female voice of the year in Italian indie music" by MEI in 2015. Edda, singer of Ritmo Tribale, known for being part of an unique writing school that transforms introspection into art. Followtheriver,between modern indie folk of Bon Iverand the electronic minimalism of Chet Faker. Giorgio Poi, who comes back to Genoa after becoming the opening guest of Phoenix during their tours around the world, and became also an icon between the Italian fans of this music genre. Clavdio, new at Bomba Dischi productions: deep voice and lyrics between irony and melancholy. L'Ultimodeimieicani, alternative rock pop made in Genova. Tre Allegri Ragazzi Morti, an important band, cornerstone of the independent music scenario in Italy, that will put on stage dedicated to psychedelic rock. I Hate My Village, super band whose members are important leaders in the Italian music: Fabio Rondanini (Calibro 35, Afterhours), Adriano Viterbini (Bud Spencer Blue Eplosion), Alberto Ferrari (Verdena), Marco Fasolo (Jennifer Gentle) that will bring with them on the stage the concept of rhytm as the essence of human race. Banana Joe, genoese trio between post grunge and psychedelic music from the 60-70s.